Jos. 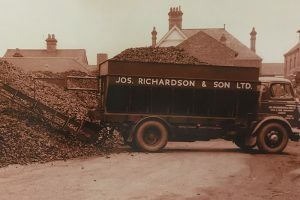 Richardson & Son began trading in 1892 when founder Joseph Richardson set up his own company to deliver coal to the local area. 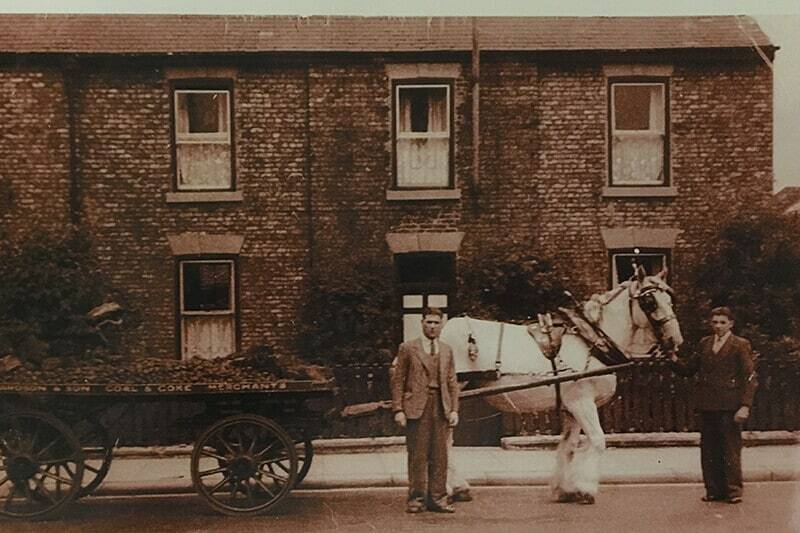 The first barge load of coal was discharged at Blacktoft and sold to local farmers and villagers. 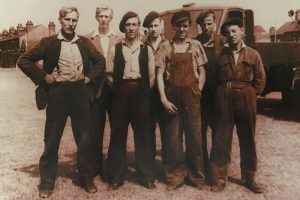 The business prospered and before long the company was delivering coal to the North and South banks of the Humber (now East Riding of Yorkshire). In 1905 Joseph’s eldest son, Henry, joined the company followed by his younger brother Harold in 1922. The new century had seen the business continue to grow, but harder times were ahead. The 1926 General Strike and the resultant long drawn out Coal miners’ strike made trading conditions very difficult. The business survived and in the 1930’s made some unsuccessful attempts to diversify. The 1940s saw more change. David and his younger brother Michael became the 3rd generation to work for the family business. In 1947 the coal producing industry of the United Kingdom was nationalised and the newly incorporated Jos. 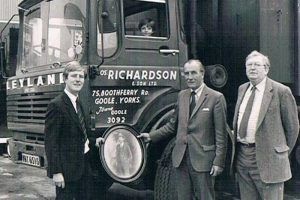 Richardson and Son Ltd won the account to continue supplying the local area. 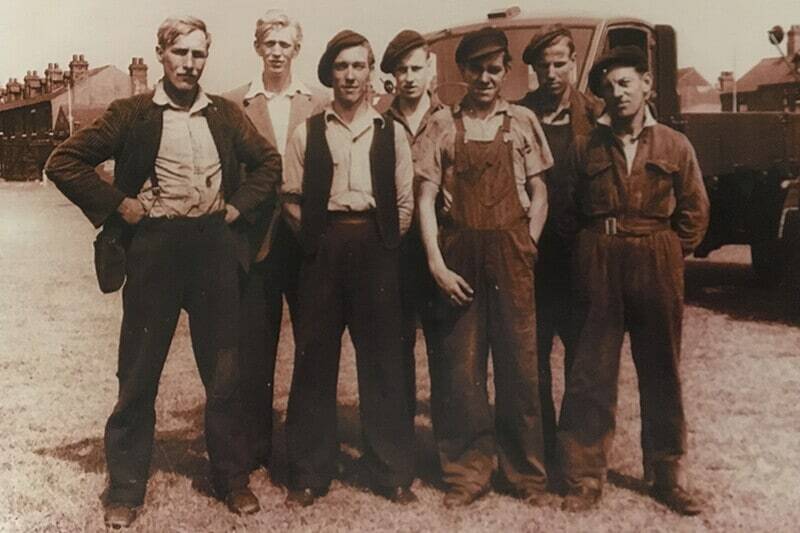 Throughout the 1950’s the business flourished and was soon operating retail coal depots out of Goole, Market Weighton, Rawcliffe and South Cave. 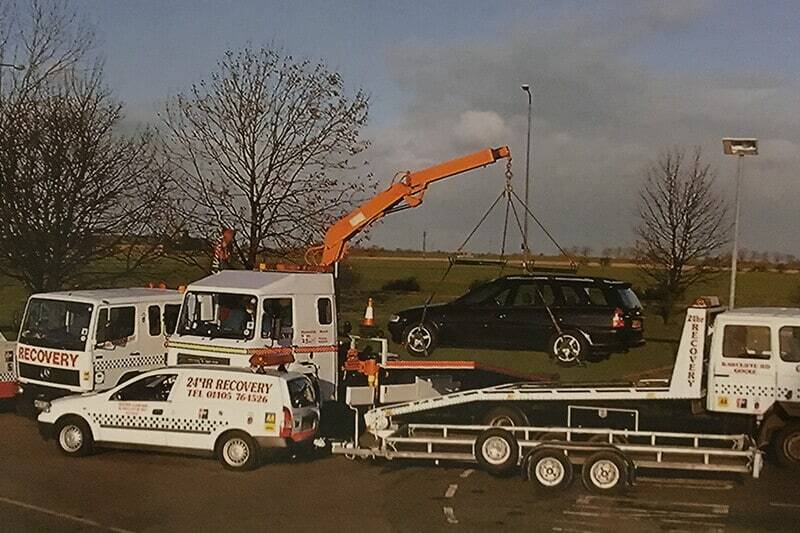 The business also now had its own fleet of fifteen delivery lorries, some of which could carry up to 20 tonnes. In 1966 David’s son Tim, the 4th generation, joined the family business which by this time not only included coal trading but a credit loan business and travel agency. Tim worked in all areas of the business before he was put in charge of newly acquired Glews Garage in 1978. At the time Glews Garage was a single workshop giving no clue as to the development that lay ahead in the next two decades. 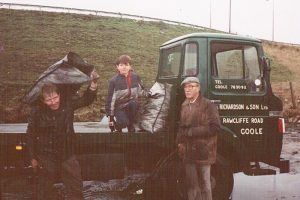 By the late 1980s the coal trading business was suffering due to the ill effects of the 1984/5 industrial dispute and the influx of foreign coals had taken a large share of the domestic market. In 1988 the decision was taken by David and Tim to sell the coal business to the British Fuel Company. 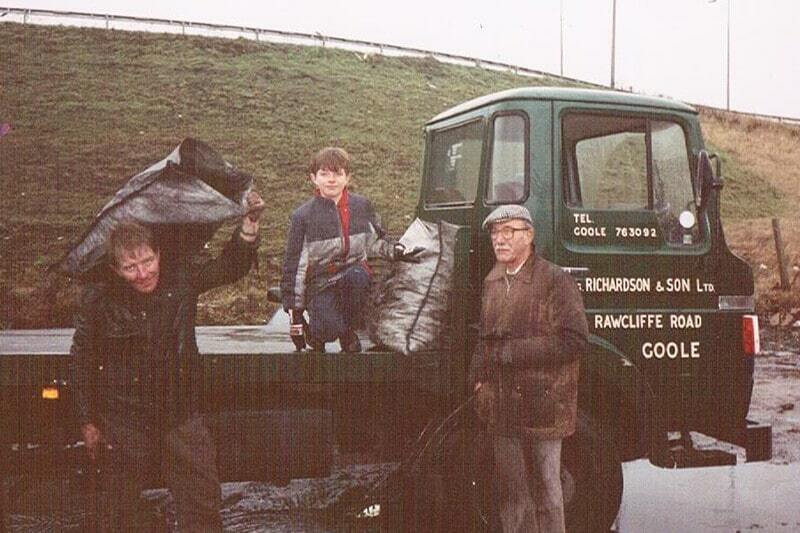 The small retail operation was kept on until the 28th December 1990, the last bag being delivered by three generations of Richardson’s; David, Tim and Tim’s son Joseph. 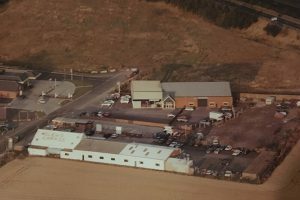 Throughout the 1980s and 1990s Glews Garage had expanded beyond all recognition. 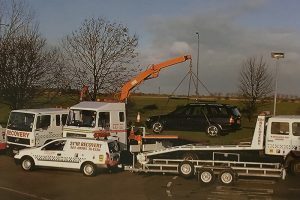 A Vauxhall franchise had been added along with Service Workshops, an Accident Repair Centre and a 24 Hour Recovery Service, as well as a Texaco petrol forecourt. In 1990 Tim also took the decision to build Richwood Garage, a new car dealership with the Peugeot franchise. By the early 1990s the Texaco petrol forecourt was running at maximum capacity and Tim saw the potential to develop a new 24 hour high volume Service Station. 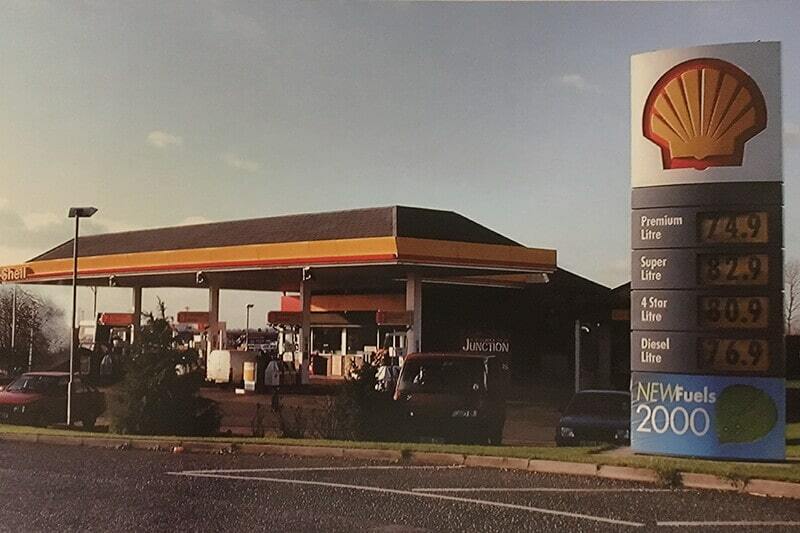 New land was purchased on the site and in 1992 the new forecourt was opened selling Shell fuels. The new site also had cleaning facilities and a convenience store with country kitchen. The 21st century has continued to bring change to Jos. 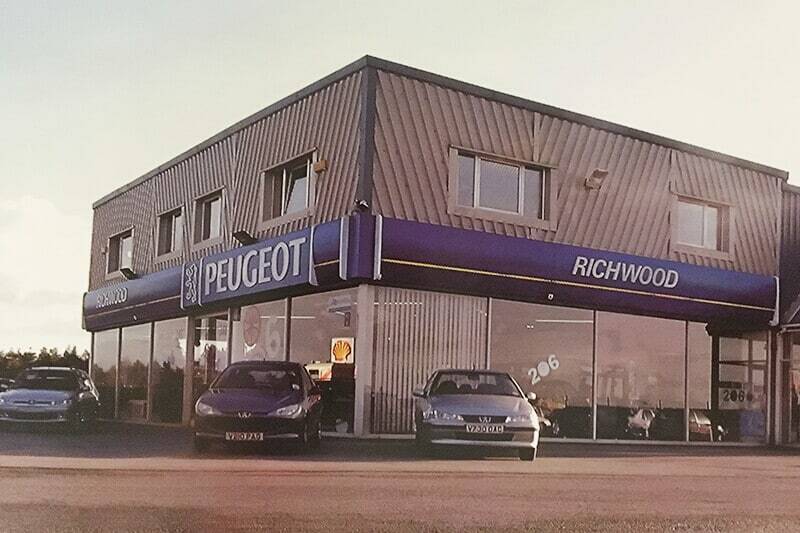 Richardson & Son Ltd with the re-development of Glews Garage and the purchase of new petrol forecourts. 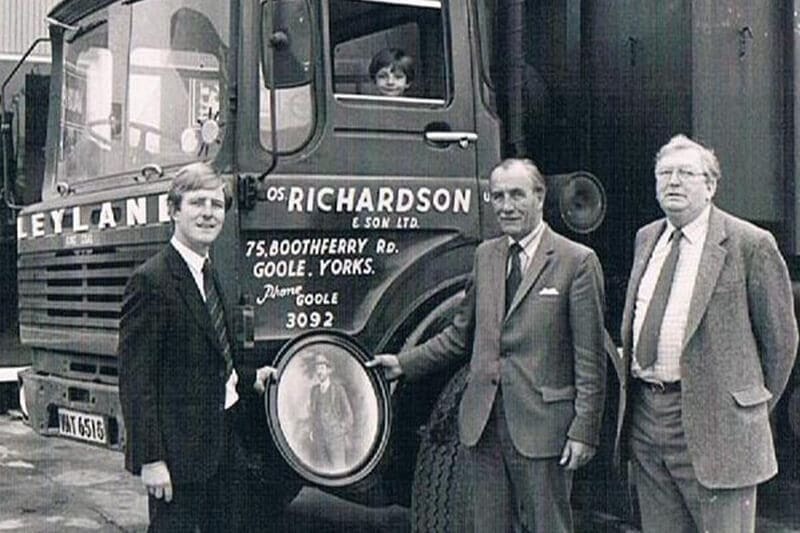 The family connection continued as Tim’s son Joseph Richardson became the 5th generation to join the company in 2004 becoming Managing Director in 2013 and in 2011 Tim’s daughter Jane also joined, becoming a Director of the Company in 2015. Joseph has grown the forecourt side of the business buying Primrose Valley and Filey Service Stations in North Yorkshire and signing deals with Jet for these sites. In 2011 The Company bought York Road Garage in Escrick, which was redeveloped in 2015 with the addition of the first Subway Franchise. In 2012 they bought Longs Corner Garage in Howden which was transformed into a modern SPAR convenience store and BP petrol station. The dealership has also developed with the addition of the Isuzu franchise in 2014. In 2016 a major development project was undertaken at Goole with the building of a 70 bay Truck Stop for overnight HGV parking. The Convenience store was re-developed to include improved facilities and the Company’s second Subway Franchise. A third Subway franchise was opened at Longs Corner Garage in Howden in 2017, the year that Jos Richardson also celebrated 125 years in business. Middleton Service Station in Pickering North Yorkshire was purchased in 2018 with plans to redevelop in 2019.